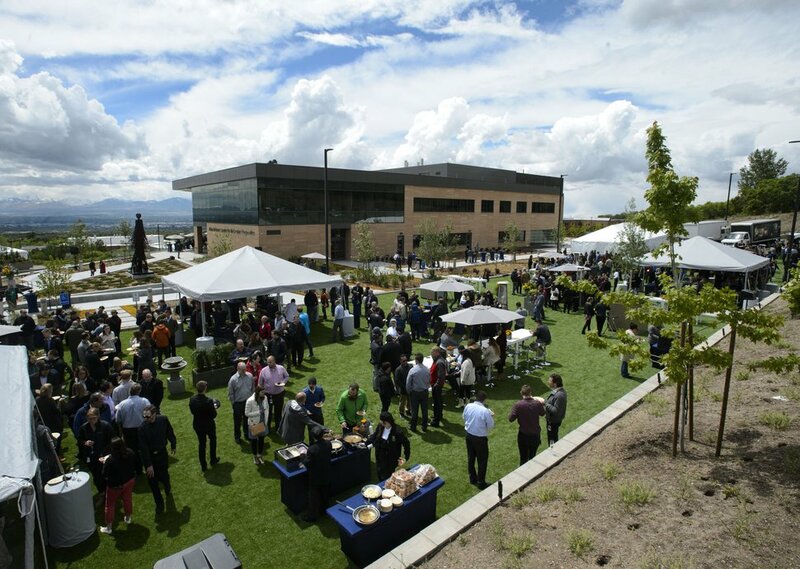 Steve Griffin | The Salt Lake Tribune More than 850 BioFire employees, local dignitaries and building contractors celebrate the opening of BioFire Diagnostics, LLC, (a bioMrieux company) at their new home in Research Park in new home Salt Lake City Wednesday May 17, 2017. Steve Griffin | The Salt Lake Tribune More than 850 BioFire employees, local dignitaries and building contractors celebrate the opening of BioFire Diagnostics, LLC, (a bioMrieux company) at their new home in Research Park in new home Salt Lake City Wednesday May 17, 2017. (Rick Egan | The Salt Lake Tribune) THe cafeteria at BioFire Diagnostic at Research Park. BioFire Diagnostic is one of the top performing companies in the Top Workplaces competition,Thursday, September 28, 2017. (Rick Egan | The Salt Lake Tribune) The main lobby at BioFire Diagnostic at Research Park. BioFire Diagnostic is one of the top performing companies in the Top Workplaces competition,Thursday, September 28, 2017. (Rick Egan | The Salt Lake Tribune) Nooks are available for employees to meet or eat lunch at BioFire Diagnostic at Research Park. BioFire Diagnostic is one of the top performing companies in the Top Workplaces competition,Thursday, September 28, 2017. (Rick Egan | The Salt Lake Tribune) The exercise room at BioFire Diagnostic at Research Park. BioFire Diagnostic is one of the top performing companies in the Top Workplaces competition,Thursday, September 28, 2017. (Rick Egan | The Salt Lake Tribune) Employees have a great view of the valley form the west patio at BioFire Diagnostic at Research Park. BioFire Diagnostic is one of the top performing companies in the Top Workplaces competition,Thursday, September 28, 2017. (Rick Egan | The Salt Lake Tribune) Employees have a great view of the valley form the west patio at BioFire Diagnostic at Research Park. BioFire Diagnostic is one of the top performing companies in the Top Workplaces competition,Thursday, September 28, 2017. (Rick Egan | The Salt Lake Tribune) Kimberly Mecham works on one of the workstations can adjust to standing at BioFire Diagnostic at Research Park. BioFire Diagnostic is one of the top performing companies in the Top Workplaces competition,Thursday, September 28, 2017. (Rick Egan | The Salt Lake Tribune) Employees have a great view of the valley form the west patio at BioFire Diagnostic at Research Park. BioFire Diagnostic is one of the top performing companies in the Top Workplaces competition,Thursday, September 28, 2017. (Rick Egan | The Salt Lake Tribune) Employees have a great view of the valley form the west patio at BioFire Diagnostic at Research Park. BioFire Diagnostic is one of the top performing companies in the Top Workplaces competition,Thursday, September 28, 2017. (Rick Egan | The Salt Lake Tribune) BioFire Diagnostic at Research Park, is one of the top performing companies in the Top Workplaces competition,Thursday, September 28, 2017. (Rick Egan | The Salt Lake Tribune) BioFire Diagnostic at Research Park is one of the top performing companies in the Top Workplaces competition,Thursday, September 28, 2017. (Rick Egan | The Salt Lake Tribune) BioFire Diagnostic at Research Park, is one of the top performing companies in the Top Workplaces competition,Thursday, September 28, 2017. (Rick Egan | The Salt Lake Tribune) BioFire Diagnostic at Research Park, is one of the top performing companies in the Top Workplaces competition,Thursday, September 28, 2017. (Rick Egan | The Salt Lake Tribune) BioFire Diagnostic at Research Park is one of the top performing companies in the Top Workplaces competition,Thursday, September 28, 2017. (Rick Egan | The Salt Lake Tribune) BioFire Diagnostic at Research Park is one of the top performing companies in the Top Workplaces competition,Thursday, September 28, 2017. Staff photo | The Salt Lake Tribune BioFire Defense in Murray is the company that received live anthrax from Dugway Proving Ground. At Alpha Warranty Services, employees are encouraged to socialize on their weekly Fun Day Friday, part of the Riverton insurance company’s belief that friendly teamwork elevates dedication to the firm’s success. 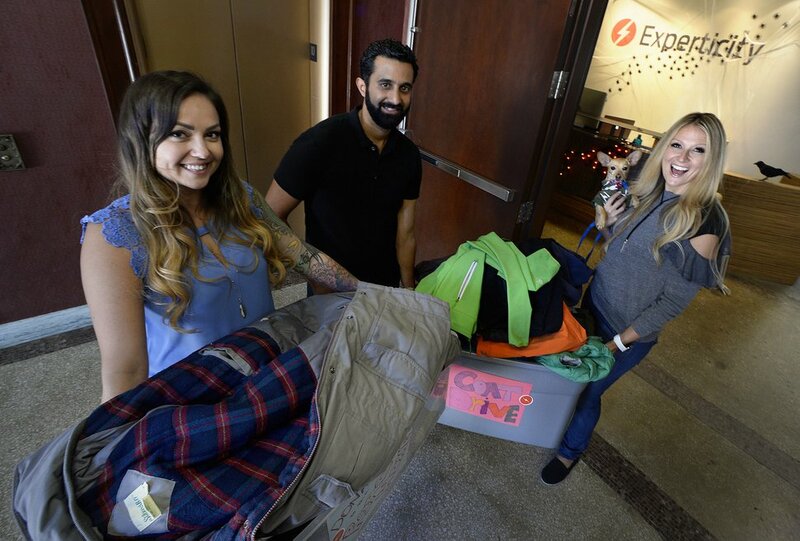 And, at Experticity, a marketing and branding company in downtown Salt Lake City, a drive to collect coats for the needy is just one of many “little things” undertaken to build employee morale in ways that encourage contributions to community well-being. (Rick Egan | The Salt Lake Tribune) THe cafeteria at BioFire Diagnostic at Research Park. BioFire Diagnostic is one of the top performing companies in the Top Workplaces competition,Thursday, September 28, 2017. Those are just three examples of projects launched by Utah companies that believe a happy and motivated workforce is essential to business success. They’re indicative of an approach gaining wider acceptance, as reflected by the fact 16 Utah companies were recognized this year as “top workplaces” for the first time in a contest co-sponsored by The Salt Lake Tribune and Energage (formerly WorkplaceDynamics). Half those newcomers were small companies with fewer than 125 employees. Alpha Warranty Services has 70 employees in a brown office building along Redwood Road offering vehicle service contract programs that set service standards between automotive dealerships and vehicle purchasers. Connecting work to enjoyable or meaningful experiences is also an important motivational tool, he said. Besides its Fun Day Fridays, the company has sponsored trips to a play at Desert Star Playhouse, backed employees supporting the annual Susan G. Komen Race for the Cure, hosted company potlucks and spent a month focusing on employee health and wellness. (Rick Egan | The Salt Lake Tribune) The exercise room at BioFire Diagnostic at Research Park. BioFire Diagnostic is one of the top performing companies in the Top Workplaces competition,Thursday, September 28, 2017. • Valeo Home Health & Hospice, Millcreek. • TCA — Total Care Auto, Draper. • First Direct Lending, Salt Lake City. • Fluid Studio Inc., Bountiful. 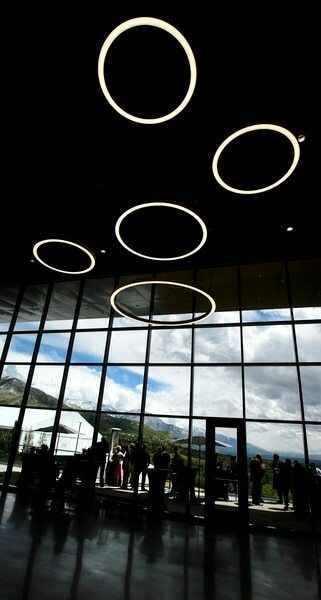 • Cicero Group, Salt Lake City. (Scott Sommerdorf | The Salt Lake Tribune) Experticity staff Jesse Craner, left, Rico Alderete and Anna Farnsworth, right, hold jackets they will donate to The Road Home during a drive to collect coats for the homeless, Wednesday, October 25, 2017. The effort is one of the team building activities used by the marketing/branding company to involve their employees in helping the community - an opportunity that workers say motivates them to do better all around. At work, it means participating in the annual Salvation Army Angel Tree, which helps 100 children and seniors during the holidays, and promoting efforts to clean the air. As winter looms, the coat drive is another avenue for employees to help others. Mercier won the Utah Tech Council’s “HR Executive of the Year” award recently for helping to mold a company culture that is conducive to attracting top talent. Getting enough employee support to be designated a leading workplace makes the company even more attractive to job seekers, said Anna Farnsworth, Experticity’s director of talent acquisition. • Provo Craft & Novelty, South Jordan. • Merrick Bank (CardWorks), South Jordan. • Panda Restaurant Group, Salt Lake City. Steve Griffin | The Salt Lake Tribune More than 850 BioFire employees, local dignitaries and building contractors celebrate the opening of BioFire Diagnostics, LLC, (a bioMrieux company) at their new home in Research Park in new home Salt Lake City Wednesday May 17, 2017. Brandon, BioFire’s HR boss, emphasized that her company, based at University of Utah Research Park, wanted to retain the creative culture that helped it succeed before it became a big operation with more than 1,100 employees in Utah — and another 100 worldwide. All employees start with four weeks of paid time off plus 11 paid holidays. Many get every other Friday off. New parents are offered 12 weeks of paid maternity leave. Workers get $5 a day to spend in the cafeteria. The company also provides employees up to $8,000 a year for tuition and books if they are advancing their educations. (Rick Egan | The Salt Lake Tribune) Employees have a great view of the valley form the west patio at BioFire Diagnostic at Research Park. BioFire Diagnostic is one of the top performing companies in the Top Workplaces competition,Thursday, September 28, 2017.